A cautious BJP has announced its first list of candidates for 70 assembly constituencies in Gujarat, internally categorised as the A seats, or those which the party is absolutely sure of winning. It includes 58 candidates for the first phase of elections on December 9, when voting will be held in 89 seats. The party has four days before the process of filing nomination papers ends for the first phase to name the other 19. The party's next list, the B seats, sources said, will include seats that it feels it will have to do battle for and the C list will have the handful seats that it considers sure-shot Congress wins. The list has been curated after much-brainstorming with the party chasing a target set by party chief Amit Shah of winning an unprecedented 150 of Gujarat's 182 seats. The party has repeated 49 sitting legislators in the first list, dropping only one to accommodate a Patel or Patidar candidate. As the party attempts to mend bridges with the powerful Patel community - its loyalists for many years but upset at not being given reservation in government jobs and colleges - the BJP has named 15 Patels in the list of 70. Five of 14 former Congress lawmakers who had crossed over to the BJP earlier this year have been fielded in the first list, which also includes chief minister Vijay Rupani who will contest from Rajkot and his deputy Nitin Patel, who will contest from the Patel-dominated Mehsana constituency. "We have given due representation to all communities," the deputy chief minister said, also adding that there are, "four women candidates in the list." 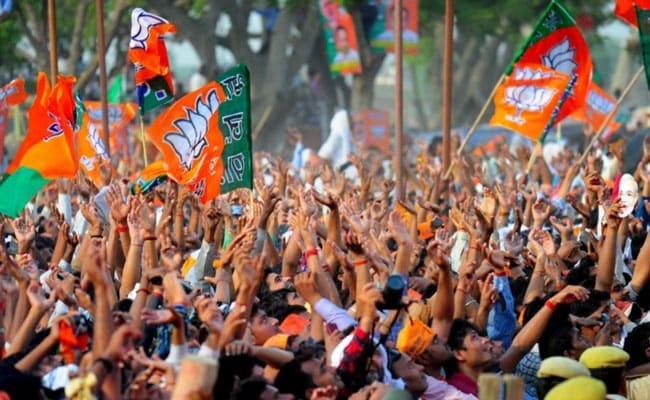 On a number of seats for which candidates are still to be named, it is assessed, the BJP, which has been in power in Gujarat for the last 22 years, could face a strong anti-incumbency sentiment. Main rival Congress, which is still finalising candidates, has adopted a BJP-like approach in the Gujarat elections, screening candidates through multiple surveys for winnability. It wants to get its caste balance right, hoping that young Patel leader Hardik Patel will align with it and deliver a chunk of Patidar votes. It has also inducted backward caste (OBC) leader Alpesh Thakore recently and is said to be consulting him over candidate selection. The first list was released after discussions at a BJP Central Election Committee meeting in Delhi attended by Prime Minister Narendra Modi, and headed by party chief Amit Shah, both of who belong to Gujarat. The two leaders also held a lengthy late night meeting earlier this week to discuss candidates. Gujarat will vote on December 9 and 14. The first phase will cover 89 constituencies in 19 districts, and the second phase 93 seats in 14 districts. Votes will be counted on December 18 along with those for Himachal Pardesh, where elections were held last week.